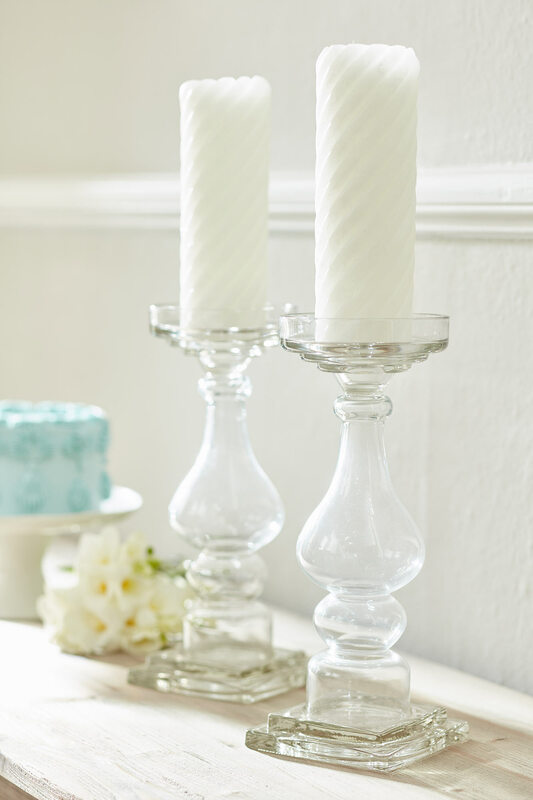 Our gorgeous Glass Pillar Candlestick brings the dreamy glow of candlelight to every occasion. 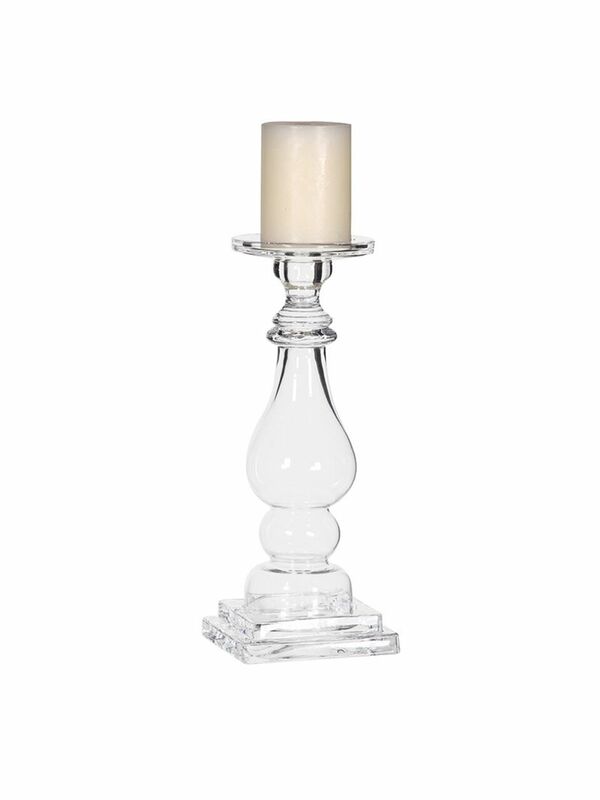 This wonderfully shapely candlestick is crafted from clear glass, so that it suits every setting. The candle base is cleverly designed to hold different sizes, so that you can mix and match your favourite candles, and looks particularly spectacular with a large pillar candle whether it is lit or not.